We’d love your help. 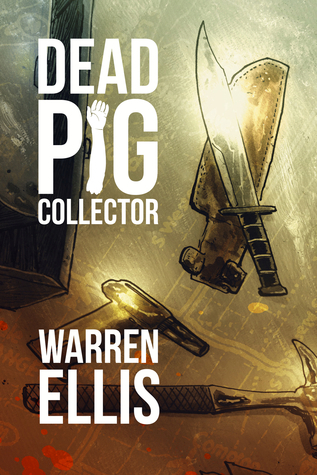 Let us know what’s wrong with this preview of Dead Pig Collector by Warren Ellis. DEAD PIG COLLECTOR introduces readers to Mister Sun, a very proficient businessman whose trade is the murder From the wicked imagination of award-winning writer Warren Ellis comes DEAD PIG COLLECTOR, a love story with a classic Ellis twist. So while it might be a love story, it's also about killing people and disposing of their bodies in the most efficient manner possible. To ask other readers questions about Dead Pig Collector, please sign up. Mister Sun is a hitman who also disposes of bodies. His latest assignment calls for him to kill someone and dispose of their body. That’s it. Huh!? I swear Warren Ellis used to be a good writer of prose, like in Crooked Little Vein, but his latest fiction has been absolutely shite. Dead Pig Collector is thin on content even for a short story. If you want to read 30-odd pages of a dude disposing of a human body in detail, this is for you! But, even as an Ellis fan, I thought this was unoriginal, Mister Sun is a hitman who also disposes of bodies. His latest assignment calls for him to kill someone and dispose of their body. That’s it. Just fantastic. Absolutely worth your time and money. This chapbook is one of 1000 copies signed by Warren Ellis. This is called DEAD PIG COLLECTOR and the audio is done by Wil Wheaton. I need it. I am not a fan of short stories, but this is a good one. This is a very interesting mix of amusing incongruity and gore; all related in a calm, and composed dry tone. The writing was good, and I liked that it was funny, but I thought the ending fell flat. This is a Kindle single that I read in under an hour. I always enjoy stories about paid assassins. I'm not sure what that reveals about me but assassins, revenge, organized crime usually perk me up and give me some kind of vicarious enjoyment. I'm rating this as average (neither bad or great) because I have read this same plot over and over again. In fact, it feels like I've read this same story with differing details my entire life. It was a satisfying read, but there was nothing original. Here’s a subgenre of crime fiction that’s never going to die: The hitman story. To be honest, I don’t know why? Is it because readers (and writers) are fascinated by the idea of people who’ve placed a monetized value on human life? Or how hitmen can somehow remain emotionally detached from their victims and view them as nothing more than animals ready for slaughter? The story’s protagonist, Mr. Sun is your prototypical European hitman; sly, detached, perfectly at ease with leading a double lif Here’s a subgenre of crime fiction that’s never going to die: The hitman story. The story’s protagonist, Mr. Sun is your prototypical European hitman; sly, detached, perfectly at ease with leading a double life. His latest job takes him to Los Angeles, but when he arrives on the job, he finds his employer with butcher knife sticking out of his head and Mr. Sun’s intended female target standing over the body and asking for help. Mr. Sun agrees and proceeds to breakdown his former clients body in the targets bathtub, where she asks him explain his process step-by-step and Mr. Sun reluctantly agrees. 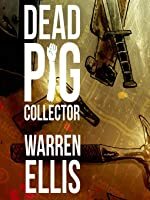 There’s nothing narratively surprising about Dead Pig Collector by Warren Ellis. As expected, it’s stylistically written and the story flows clean and quick and somewhat generic and easy to forget after the last page is turned just like Mr. Sun (Although this is my major fault with most hired killer stories). But, for those readers unfamiliar with Mr. Ellis’ excellent novels, Crooked Little Vein and Gun Machine, Dead Pig Collector is an adequate introduction to one of crime fiction’s rising stars. This short novella was a great introduction to an author I know nothing about. In fact I was so taken with it, as soon as I finished reading I also got Crooked little veins, the author’s debut novel. This is the story of Mr Sun, a meticulously professional assassin. In fact he is so obsessively precise that he measures time in seconds, not hours. He has a flawless track record but this assignment may cause him to break all the rules. This story gives you a pretty good idea what it takes to dispose of a body, but without overly gratuitous details. And at $0.99 it’s a bargain buy that is more than worth the time it takes to read it. A fun little horror story. It was obvious where it was headed, but still entertaining nonetheless. Mr. Sun is a true professional. Everything is timed to perfection and enacted with surgical precision. That is important for a contract killer who sees body disposal as the most important part of his calling. Even when the job in question doesn’t turn out exactly as expected, Mr. Sun does not disappoint. A really good lunch-time read. Well worth the 30 minutes it takes to finish it. The writing is clean and strung together with surgical precision. It's a very good read, although squeamish readers would do well to avoid it. Ellis describes the sounds and smells as well as the sights during a certain scene and it's very effective. To my great regret and frustration, I didn't understand the ending. Specifically the final paragraph. It confused me, I re-read it, I can guess at what happened, but I don't know for sure. I note that another reader also asked a question about the en The writing is clean and strung together with surgical precision. It's a very good read, although squeamish readers would do well to avoid it. Ellis describes the sounds and smells as well as the sights during a certain scene and it's very effective. "The heart, you see, is just a pump, and can be operated manually." Story about a hitman and a job gone wrong. I like writers who seem to have done their homework, and Ellis fits the bill. The short story is practically a how-to guide for corpse disposal. Reminded me of Matthew Woodring Stover. Couldn't put this story down. A masterclass in the novella structure. Mr. Sun, a man just off an airplane from England, is here to do a job. What is that job? Kill and dispose of a human body. He's already been paid, so there's no issue there. When things on the job go awry, it'll be fascinating to see how Mr. Sun uses his particular skills to wrong the rights and push the limits of caring about his fellow man. All the while, gruesome details of his job are highlighted on the page. It's wonderful to see a master use his craft i A masterclass in the novella structure. It's wonderful to see a master use his craft in a such a unique format. I'm not familiar with the novella structure at the time of writing, but I can say that Ellis uses every page to bring out the full 40,000 second story of Mr. Sun. Detailed in all the right areas (particularly Mr. Sun's job), with all the classic Ellis bits thrown in. Attention to small details, like examining a gifted lighter, letting the reader's imagination punish themselves more than the author can, and all wrapped up nicely with a question to ponder about the hidden nature of humanity. Humanely vicious, like a lot of Ellis' crime fiction. I liked how someone else's review put it - this is a crime procedural, but from the criminal's perspective. I had a great time with this quick, little read. Reminded me of something that would be straight out of Tales From the Crypt. Dark, humorous, fun twist and only a dollar. What more could you ask for? Mr. Sun is an international body disposal professional/hitman who uses a form of Snapchat to communicate with his clients and set up jobs. While in Los Angeles, he gets a fairly routine job to complete, but things go to the wayside when Mr. Sun arrives at his destination and finds that things have already gone awry thanks to an overenthusiastic client. However, Mr. Sun is a professional. His job isn’t always necessarily about the hit, but the disposal of the body. And he has a dead pig to collec Mr. Sun is an international body disposal professional/hitman who uses a form of Snapchat to communicate with his clients and set up jobs. While in Los Angeles, he gets a fairly routine job to complete, but things go to the wayside when Mr. Sun arrives at his destination and finds that things have already gone awry thanks to an overenthusiastic client. However, Mr. Sun is a professional. His job isn’t always necessarily about the hit, but the disposal of the body. And he has a dead pig to collect. Some readers may find the story a little too dry, but I found the tone to be calm and composed in contrast to the grisly scene going on during the characters’ interactions, which is part of what makes the story so interesting. I think some people think the ending is a “twist,” there’s really no other way it could’ve plausibly ended, even with the little bit of humanity Mr. Sun gives the readers. Mister Sun measures time in seconds and disposes of bodies for a living. He travels from London to LA for a job that goes a bit wrong, forcing him to change his meticulous plans. Dead Pig Collector is dark and funny and grisly and not for the squeamish. Warren Ellis goes into a fair amount of detail about how bodies are professionally disposed of, to the point where you begin to wonder how he knows this stuff. (He says he found out in five hours of research on the Internet, and I'm sure that's t Mister Sun measures time in seconds and disposes of bodies for a living. He travels from London to LA for a job that goes a bit wrong, forcing him to change his meticulous plans. The only thing preventing me from giving this the final star is that I wasn't clear about what the ending meant. I look forward to discussing it with my friends after they read it. All in all, it is well worth the buck. Ellis packs some absolutely fantastic writing in such a small space. Give it a read. 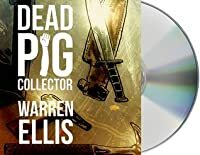 Dead Pig Collector by British author Warren Ellis is a horror genre short story with a Gothic feel. What I noticed immediately is a an undertone of rage, a male point of view and a bitter lyrical quality. The Protagonist, Mister Sun, really turns out to be the Antagonist who has a job to do. Unfortunately Amanda, being the stereotypical female, doesn't realize her dire predicament. Mister Sun does his job going through the motions of body disposing with chilling detail. It's grim, grotesque and Dead Pig Collector by British author Warren Ellis is a horror genre short story with a Gothic feel. What I noticed immediately is a an undertone of rage, a male point of view and a bitter lyrical quality. The simplest measure of a book review should be whether or not the book (story, novella, e-book, etc) succeeds in hitting the marks it establishes at the start. This story has no pretensions of being anything larger than itself and while we could certainly hope to see more of Mister Sun somewhere else someday, no one will be writing Mr. Ellis fan-mail and demanding that he be brought back in another story. This is funny, dark, intelligent, well-written - and over in just the right amount of tim The simplest measure of a book review should be whether or not the book (story, novella, e-book, etc) succeeds in hitting the marks it establishes at the start. This story has no pretensions of being anything larger than itself and while we could certainly hope to see more of Mister Sun somewhere else someday, no one will be writing Mr. Ellis fan-mail and demanding that he be brought back in another story. This is funny, dark, intelligent, well-written - and over in just the right amount of time for a day's commute. What more, sometimes, could you ask for? I loved this short little gem about murder and dismemberment and structure and process. But how can murder and dismemberment go along with structure and process you ask? It's because Mr. Sun is very, very, very careful. Check him out. I would recommend this book to horror enthusiasts and also to aspiring serial killers as an instruction manual. Did you know that America has more serial killers than any other country in the world? USA! USA! Buy this book, buy this book! This was very good short fiction about a hired hit man and body disposal expert at work on a new job in L.A. It was a bit grisly in the descriptions of his techniques, but also funny and light (if that's possible). A mysterious ending; like other readers I’m not sure what it means. But this story was a bizarre but fun read. A story about love and corpse disposal. And the author's loathing of LA. Do recommend. I’ve read this in 4500 seconds. Every second worth it. Thoroughly enjoyed it! Short enough to finish in one sitting. The end hit me in the face- I didn't realise I'd reached it! Still laughing. Definitely not everyone's cup of tea. I like Warren Ellis. I like the way he writes his prose. His weekly newsletter is legitimately the best part of my Sunday (Sorry Cora, Daddy loves you both, but in fairness, Ellis got here first and he has an accent so...). There is an ease in his prose that isn't afraid to throw in a good turn of phrase when he has one. But here, in this thing, a short story about a man who disposes of corpses, I didn't really feel much. It was engaging sure, but it was all so quick. Just flickers of this and t I like Warren Ellis. I like the way he writes his prose. His weekly newsletter is legitimately the best part of my Sunday (Sorry Cora, Daddy loves you both, but in fairness, Ellis got here first and he has an accent so...). There is an ease in his prose that isn't afraid to throw in a good turn of phrase when he has one. But here, in this thing, a short story about a man who disposes of corpses, I didn't really feel much. It was engaging sure, but it was all so quick. Just flickers of this and that thing before being dropped back Ellis knew too well the story he was telling. Characters are relegated to archetypes, two strangers making small talk over a business man's corpse. The mystery isn't a mystery it is only a question: When will the other shoe drop? And then that when is accomplished and then a cute call back to a conversation had mere pages ago, the words disappear and we have read a finished story. It's hard for a 39 page story to be too offensive. It's over and done pretty quickly. I'd still say this was a fun read given the small package. A fairly simple story of a hitman on the job that also has a good ending. Check it out on Amazon for $0.99. PS: The edition I purchased was a limited release signed by Ellis. I'm pretty happy with the physical book, but I do wish it was square bound. This would've increased the price but the price was already ridiculously low ($15 + free shipping) and wo It's hard for a 39 page story to be too offensive. It's over and done pretty quickly. I'd still say this was a fun read given the small package. A fairly simple story of a hitman on the job that also has a good ending. Check it out on Amazon for $0.99.